Hey, look, it's Wednesday. "Hump Day" to some, a phrase that even today still makes me chuckle like a 3rd grader. ....he said Hump Day... Anyway, thought I'd toss out some pre-packaged pop culture and hermetically sealed fishing randomness today, you know, to help move Wednesday along a bit. 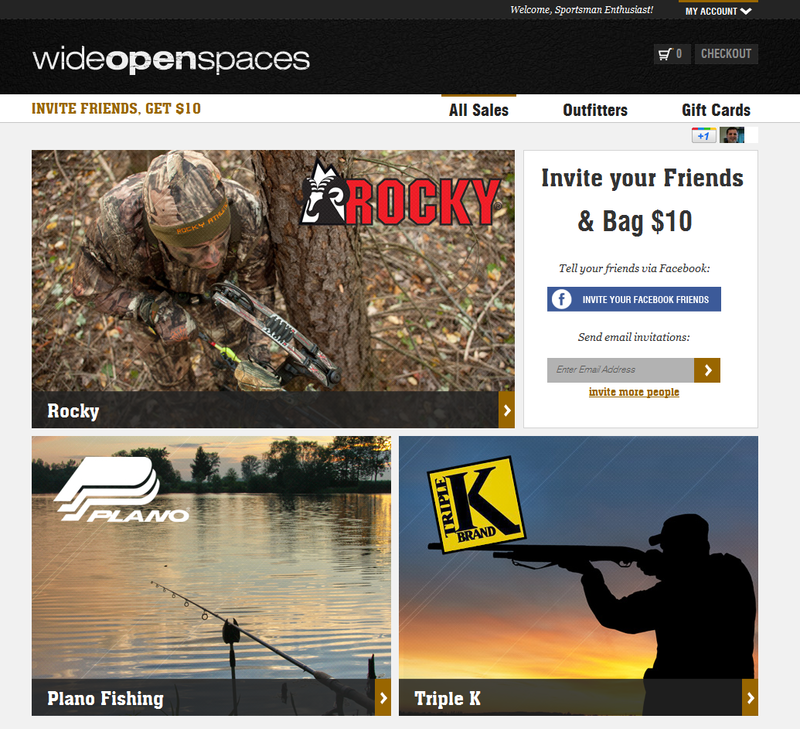 Did you happen to see the new "flash sale" site called Wide Open Spaces that opened for business last week? It's similar to Groupon or Woot in that it offers deeply discounted products for a short period of time, like a day or two. It's not just fishing, it's hunting and general outdoors, so the opportunity to find a deal you might like is pretty good. It's interesting to see how these outdoor deal sites are spreading like wildfire...Deals on the Fly, The Clymb, TightLinz, just to name a few. (Yes, a few of those are referral links, I'm not ashamed). I've personally bought a handful of Simms products from DOTF and some Redington gear from The Clymb, so as far as I'm concerned, competition is a good thing and means more deals for us. 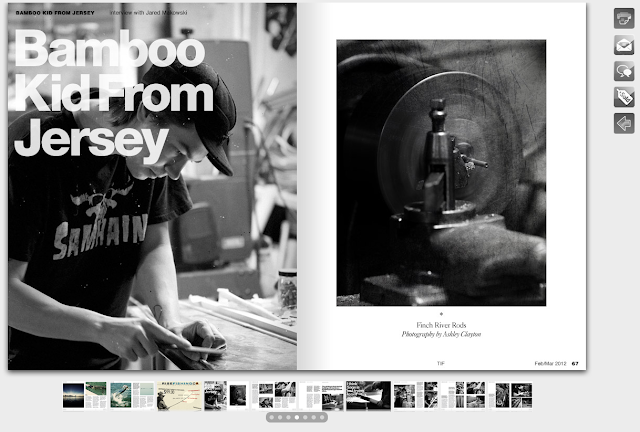 Anyway, while I never quite understood that phenomenon, I did kinda enjoy the article/interview with bamboo rod builder Jared Makowski in this month's This is Fly and thought I'd highlight it here...makes me wonder if an interview with a snowbound Erin Block is far behind? Here in Philadelphia, we have an event the Friday prior to the Super Bowl called the Wing Bowl where contestants (complete with a harem of Wingettes) battle in a massive chicken wing eating competition. It's so big it's held in the Wells Fargo Center (the same place the 76ers and Flyers play), and just celebrated its 20th year. The winner? Takeru Kobayashi of Nathan's Hot Dog eating fame. He downed a record 337 wings in his first year in the contest, demolishing the old record of 255. Quite impressive. I'd tap out at about 50. Maybe 60. To close, time for some blog love. 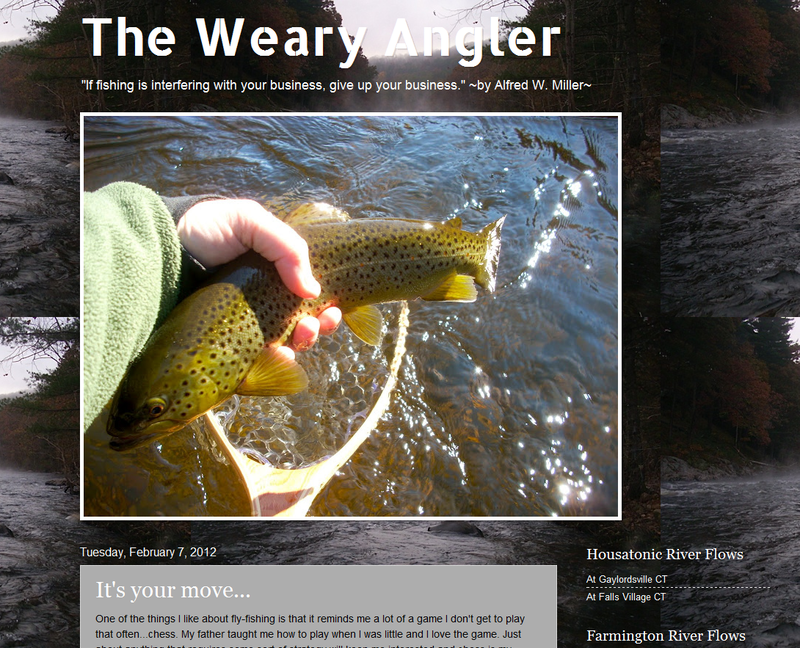 This week's version of blog love comes from Connecticut, and goes to a blog that I don't even think is in my blogroll (I can't keep track anymore), The Weary Angler. I enjoy Steve's blog because while it's well written, it's also done with a touch of a conversational flair...you know, writing in the same fashion you might talk...kinda like how I write....save the excessive use of periods...not that I talk with periods...but I do write with them... Go check it out, I think you'll dig it. A little bit of everything. I did notice a few familiar faces in the Google Members widget thingy, but I think we can add more this week...right? Thanks in advance. man, i totally spaced on the wingbowl this year. nothing better than al morganti commentating at the greatest eating event known to man. plus wingettes. I listened to the first half on the radio during my drive into work...I need to get to one, one of these years. This was definately an interesting post and i did swing by the visit the Weary Angler. Thanks Rick. Looks like a few folks stopped on by WA. 337 wings! How many tums do you think he ate that night? Hopefully none. This guy is a Professional after all. Shark bite! Keep you hands behind the fins? Now you tell me. Where were you 50 years ago when I got bit? Popped over to The Weary Angler and signed on. Thanks Devin. You are wise beyond your years...just ask Shoreman. Hey Mike, thanks for the shout out. I gotta admit, I was just about doubled over laughing at the...comment...it's kind of like blinking, I know I am doing it but just can't control it. Anyways, thanks again for your kind words.